There are many ways to liven up an office. You can paint the walls bright colours, decorate it with attractive art and company mottos, bring in flowers and have a games corner, where staff can wind down from stressful moments with a computer game or by playing table football. An alternative that may really capture the imagination is to have an office pet. A furry friend could help make the day more interesting and varied, give people something to look forward to when work is hard, and offer moments of light relief and less stress. 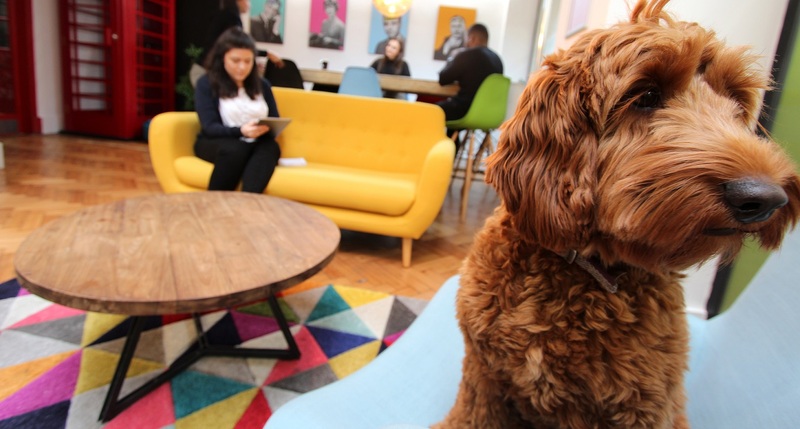 Indeed, many offices have taken on pets for these and other reasons. But it is important to remember there are both pros and cons to such a move, which need to be considered by those thinking of going down this route. According to the Mental Health Foundation, pets are great at reducing stress. Even sitting with an animal, playing with it and stroking it can help people calm down and relax. This is why animals can be therapeutic in the home, and in an office setting a few moments spent with a furry friend can help people press their internal ‘reset’ button when they are getting stressed. Getting people to buy into the team ethic is not always easy, as some people take to that better than others. This can be due to temperament, past experience or just the nature of their own job role, which may not be very collaborative. However, by sharing out responsibility for looking after the office pet, managers can create a new way in which people can learn to co-operate and communicate better. However, there are some potential cons involved in keeping an office pet. A big issue could be the additional responsibility. For instance, it needs to be very clear who will be responsible for looking after the pet at weekends and public holidays when the office is closed. In addition, it also has to be determined who takes responsibility for issues such as taking the animal to the vet if it is ill or injured. The latter question could be more important as the animal ages, so it is worth asking whether there needs to be a home waiting for it when the time is right for it to ‘retire’ from the workplace. This need not necessarily be a problem, but failure to answer these questions before acquiring a pet could store up issues and disputes down the line. It is also worth bearing in mind that some of your staff may have serious objections to a pet. This may involve a strong dislike, or even phobia, of certain kinds of animal. Worse still, some people have allergies to pet hair, which could make the office environment a very unpleasant place for them to be in. When considering the pet option, therefore, it is important to check nobody has a major objection, particularly when it may be a very reasonable one. After all, the idea is to make the office a better and more enjoyable place to be, not a nightmare to work in. Finally, be careful that the pet does not become such a distraction that productivity falls, as staff spend too much time playing with their furry friend and too little actually working. Before having a pet, it is important to remind staff not to get too caught up in the excitement.